Until now I never really thought about why, but that gap between Christmas and New Year has always been a time of reflection for me. The weeks leading up to Christmas I’m always super hectic and busy with arranging presents, finishing off work and coordinating when I need to be where, juggling the schedules and demands of various family members. Each year it feels like there’s so much to do, that I don’t find the headspace to think about much else. The day after Christmas (aka Boxing Day) everything slows down again and it suddenly hits me that we’re in the final breaths of this year and that yet again we’ve managed to complete another lap around the sun. For me, it’s always been a time to look back over the past year and think about all the things I’ve done and what I might have done differently. Some years it’s good, other years… not so much. I’ve had years where I’ve looked back and felt massively frustrated and disappointed because of how little I thought I had accomplished. I’ve gotten stuck in loops of self doubt and blame for not having done more. I’m guessing I’m not the only one who experiences these thoughts at this time of year. The time leading up to the end of the year seems like an appropriate point to be thinking about such things, but it’s much easier to focus on and recall all the things we did badly, or the things we thought we should have done (see negativity bias). It’s easy to get stuck in a continuous loop of criticizing yourself, without coming up with ways to make it better. I think that as developers we should take the time to step back and reflect in the right way. Sure, some of us work in agile teams and do retrospectives for every sprint or project; but how often do you do a similar thing for your own life or about your own choices? It’s only in the past year that I’ve started doing a personal retrospective once every few weeks, and it’s really helped me to understand the things that I can improve about myself. Also coming up with a list of tangible and achievable actions means that I’m less likely to blame myself and wallow in the world of ‘What If’. Since it’s Christmas, I thought it would be fun to use some of my favourite Christmas movies as examples on how to approach your own personal retrospectives, and reflect on a more regular basis. But the most important rule, the rule you can never forget, no matter how much he cries, no matter how much he begs, never feed him after midnight. I never quite understood the logic behind the midnight rule in Gremlins. Like: what happens when you travel into a different timezone? What exactly counts as “midnight” in that case? Or when the clocks change in winter? Despite that, it is a never-to-be-broken rule in the movie: break it and bad things will happen. 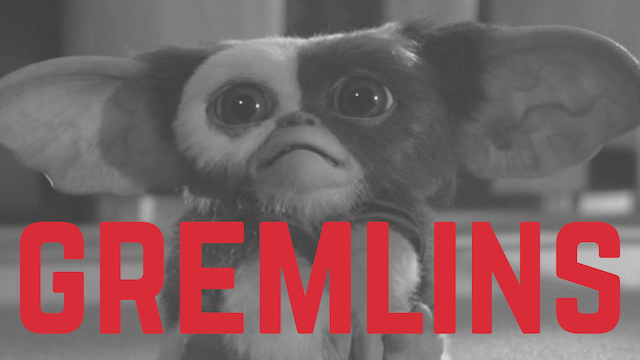 Just like Gremlins, my most important rule with personal retrospectives -the rule I can never forget, no matter how much my mind wants to, no matter how much I think I should -is to reflect after midnight. No matter how my day has been, I should always take an hour or so before heading to bed to simply just read a book – not checking any emails or Twitter, not thinking about any work stuff, not thinking about how my day has been – just me and a book. For me, getting lost in a good story is the best way to clear my mind before going to sleep. Reflecting and looking back at what could have been are all pushed away to a later set date, when I know I’m in a better frame of mind to think about those things. If you’re doing personal retrospectives, the first thing to do is make sure you set boundaries for yourself. The whole point of doing these retrospectives is to come up with a better framework to deal with reflecting. Plan them at a time that is most appropriate for you and when you think you’ll be able to come up with the best set of actions out of them. Want to kickstart your Monday with figuring out what you want to do better next week? Or do you want it use it as a way to wrap up your month? Think about what works best for you and how often you want to do them. And then make sure you stick to your own rules. Ebenezer Scrooge: Spirit, show me no more. Why do you delight in torturing me? Ghost of Christmas Past: I told you, these are the shadows of the things that have been. That they are what they are, do not blame me. A Christmas Carol is pretty much the story of a single retrospective: Scrooge is visited by three Ghosts of Christmas, forcing him to think about his past, present and future. 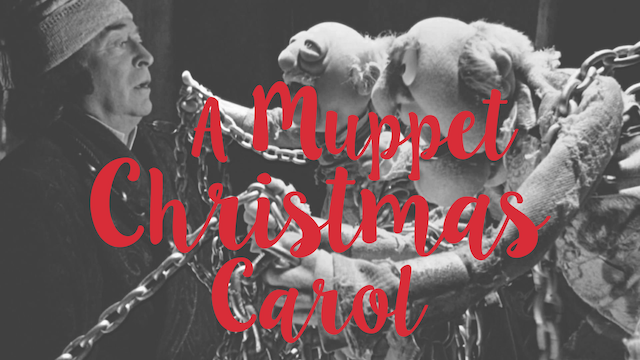 I love the Muppet version of the tale: Michael Caine is perfect as our Scrooge, the songs are catchy and the muppet-y jokes make it just that little bit more special. The movie shows us one way of structuring your retrospectives: looking at your past, present and future. I prefer this type of format when you want to think specifically about your longer term goals: what were you doing a year ago? What are you doing now? And what do you want to do a year from now? Often though you may want to examine a slightly shorter period (say a month or a week). For these, I like the more traditional formats of Good, Bad & Questions (What went well? What went less well? What raised questions? ), and Liked/Learned/Longed For (see this wiki for good explanations of all of these and other types of retros). Regardless of which format you choose the idea is to review what you’ve done in an objective, blameless way; writing down whatever comes to mind. Use these notes as a starting point and examine what the reasoning is behind some of your thoughts – keep questioning until you reach a point where you have a tangible action. 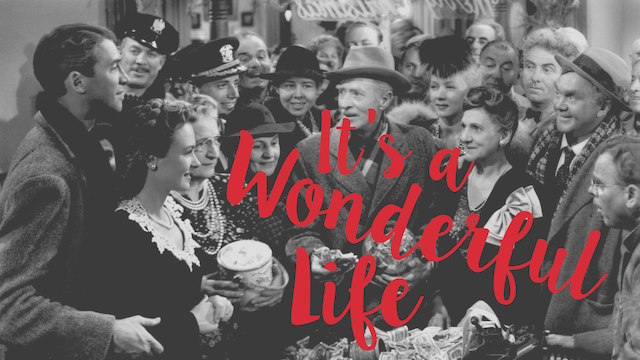 I only watched It’s A Wonderful Life for the first time a few years ago, but it features a common trope seen in sci-fi shows: someone wishes they had never been born, so a guardian angel/alien/mystical artefact shows them how the world would be without them in it. When looking back at your past year/month/week, don’t just think about how your choices have affected you: what are the effects that you’ve had on others? What has changed in other people’s lives because of something you said or did? If you weren’t there, what would have happened? It’s easy to think only about ourselves when reflecting: we already know how we feel about certain events and choices and it’s easy to limit our perspective to just ourselves. But a lot of what we do requires interacting with other people, and we need to understand what effect we have on others. The flipside is important as well: what were the effects that others have had on you? What are the things they did that annoyed or hurt you? What are the things they did to help and teach you? In both the bad and the good cases, stop and think about whether you’ve shared your thoughts with these people and if not, why? It can be tricky to get the hang of, but give constructive feedback and praise to others when you can. 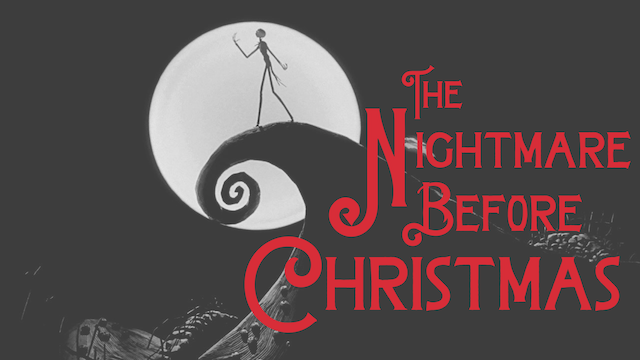 Our final movie is my favourite Christmas one: The Nightmare Before Christmas. In it Jack Skellington, the Pumpkin King of Halloween Town, has grown weary of having to organize Halloween each year. After stumbling into Christmas Town, he attempts to take on Santa’s role of delivering presents to children all over the world, only to fail miserably at it. Jack realizes that he should leave Christmas to Santa, and goes back to arranging Halloween. Just like Jack we need to accept that making mistakes and failing is okay. We’re taught from a very early age that failure is a bad thing, that we should avoid it; but in reality failure is part of learning and trying out new things. Just think about the first time you tried to learn how to play an instrument, or how to ride a bike or how to bake something. Did those all go perfectly the first time you tried? Failure means that at least we attempted something that we haven’t done before – it’s a sign that we’re trying and experimenting with something new. Interested in doing your own retrospective now? I hope these four examples will help you in creating your own versions. The main thing I think to remember is that how you do them is completely up to you – each of us process what we’ve done and what we want to do next in different ways. Our personal retrospectives shouldn’t follow any set way – they should be whatever we need them to be to help us reflect on our past. Christmas isn’t the only time for reflection, but it is the perfect time to reflect on how we should be reflecting more. 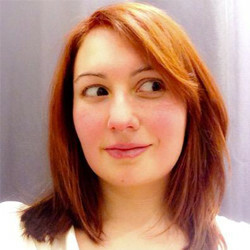 Melinda is a Ruby developer at FutureLearn, a social learning platform. She loves attending BarCamps, Hackdays and other tech meet ups, and since 2009 has been organising them at Geeks of London. She also writes at MissGeeky, a blog about all things geeky and girly.